​Lifelong has been a leader in the fight against HIV and AIDS since 1983, when we first passed a soup can around Volunteer Park, collecting donations to help feed, house and support those who were fighting this disease. Lifelong was formed in 2001 through the merger of two different non-profit organizations founded in response to the AIDS epidemic in the Seattle community - Chicken Soup Brigade and Northwest AIDS Foundation. These organizations had similar goals - to provide for the individuals suffering these chronic conditions from home care, rides to church or the doctor, to providing food. In order to promote the cause, thrift stores were opened to serve as a place of funding. Out of this period of growth, Lifelong Thrift began as the Chicken Soup Brigade Thrift Store. Since then, we have inhabited many locations around Seattle before finding our home here on Broadway. We have had locations in the Pike Place Market, University District, and Rainier Valley, but always a presence on Capitol Hill. After the merger that formed Lifelong, the little stores around town also went through an evolution, and joined to become Lifelong Thrift Store. 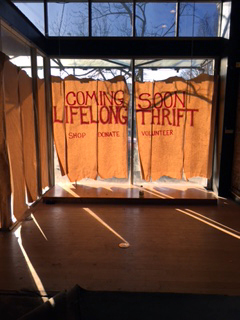 The first Lifelong Thrift location found its home on Union Street. 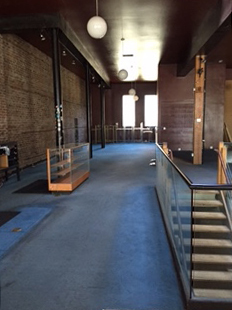 After 13 years in that wonderful but small location, we made the decision to move to a spot that was still in the heart of Capitol Hill, but would be a larger space so that we could offer even more treasures to clients, offer more support to Lifelong’s programs, and introduce the agency’s mission to a new reach of individuals including tourists. The new location is three times larger than the original Union St store and continues to be stocked with amazing donations from our generous community. In the spirit of the old Chicken Soup Brigade stores, it is mostly volunteer run. 75% of the people working shifts here each week are caring people who are gifting their time. The buildout of our new home was done by the staff, with the help of numerous volunteers who helped us paint, build, and move boxes. We greatly appreciate all the help we have received along the way, and also the positive reception we have had in our new space. We are thrilled to continue supporting Lifelong’s mission every day in our store. Our Store’s ValuesIn the spirit of Seattle’s Capitol Hill community and the roots of Lifelong AIDS Alliance, we strive to have an open and respectful environment that is welcoming to people of all identities and circumstances. Because Lifelong Thrift is a safe space for people in the LGBTQI and ally community, we ensure that our customers are able to shop in an inclusive and comfortable environment. For this same reason, we have organized the clothing by style and function, then by the industry standards of gender and size. We want all of our customers to feel welcome throughout the store’s sections and able to shop for the garments that best represent their gender expression, so we chose not to divide the store into “Men’s” and “Women’s” departments. We have a dedicated staff of employees and volunteers who can help you find what you’re looking for. Lifelong Thrift has a voucher program that gives $25 vouchers to people in our community living with HIV. The voucher program was created for clients of Lifelong and our other community partners. Because of the hardships and challenges of some people living with the disease, the voucher program was created as a means of connecting clients with living essentials directly from the community. There is a wide array of circumstances in which people receive these vouchers. From people shopping for their first apartment after finally making it off a housing waitlist, to preparing for an upcoming job interview, or a shopping experience for someone who wouldn’t normally get that opportunity - the vouchers have come to be a great success. Within the first year of being open in the new location, we gave 5,932 items, about $18,500 in products, directly to clients in our store.